Does your traffic justify the sales and leads at your site? Which types of visitors are converting? Which is the most successful marketing campaign/channel? Not sure? Setting up Google analytics with the right configuration will shed more light to the above and thus improve conversions. 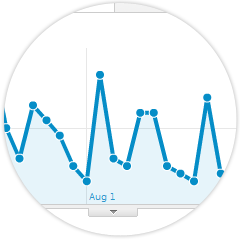 Integrating Google Analytics on a website sounds simple as adding a piece of tracking code to your pages. But to get realistic actionable insights, it has to be configured with Goals, Funnels, Ecommerce Tracking and Dashboards. SIM's Google Analytics Certified Experts will understand your business and take care of the process. 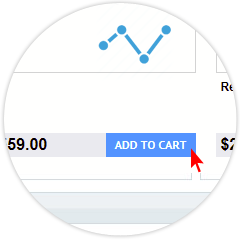 Ecommerce tracking in Google Analytics is an extremely powerful reporting tool that not only gets you information about the purchased products but provides you with actionable insights on how to increase your sales. A goal funnel gives a clear visualization on the different steps a visitor needs to experience in order to achieve a specific goal. 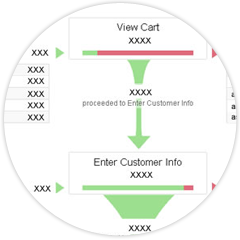 The actual procedure being structured by the goal funnel helps to identify the strong and weak areas where a visitor performs the desired action. This helps you to determine if the user is dropping on the way to your desired action on your site which can be fixed to boost your conversion rate and revenue. After setting all goals, funnels & ecommerce tracking, there must be an easy method to track the results effectively. Feature rich yet meaningful dashboards will be created for your website based on the importance of actions performed, with charts and tables.